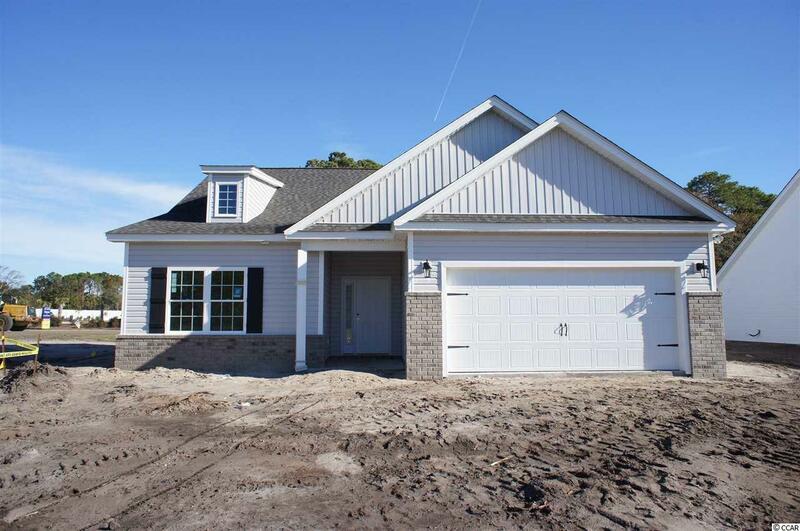 Beautiful Edisto floor plan is move in ready! 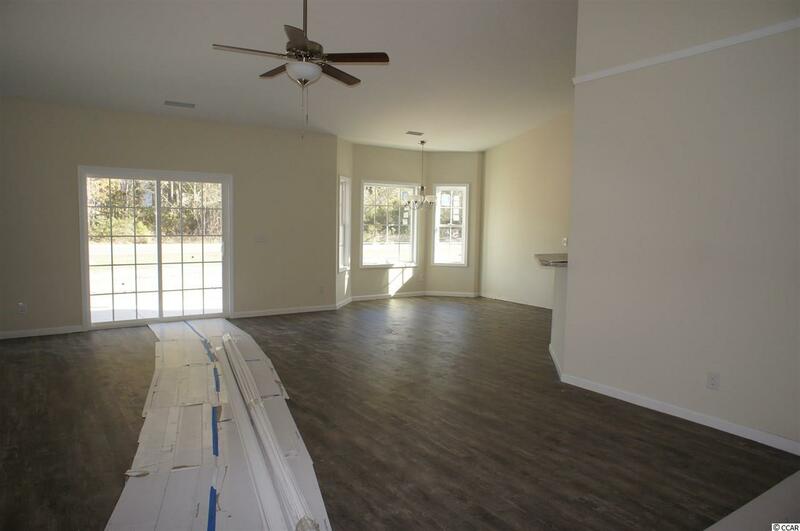 This terrific open floor plan home has upgraded waterproof laminate flooring under the soaring vaulted ceiling in the family room, kitchen and dining area and comfortable carpet in the bedrooms. 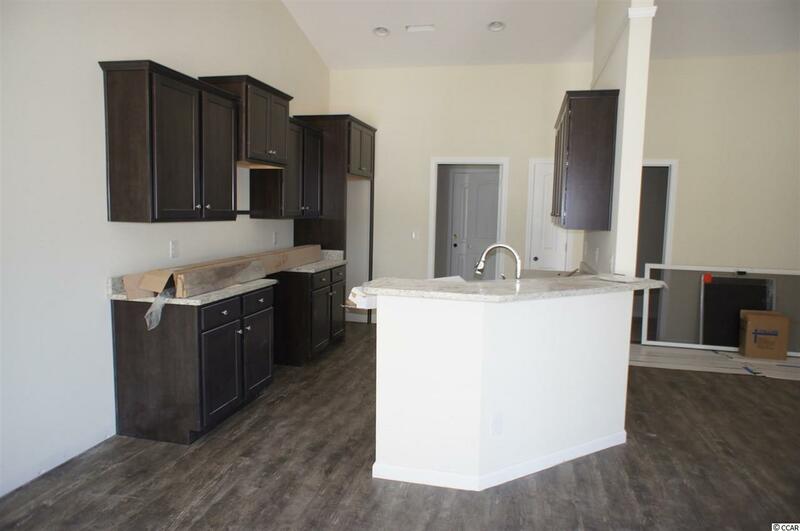 Stainless appliances, granite counters, staggered height Shaker-style cabinetry and a convenient breakfast bar combine to give the kitchen the wow factor you're looking for, and the bay windows in the dining area flood the room with light. Sliders at the back wall of the family room lead to a covered rear porch with large separate patio. The spacious master retreat features a tray ceiling, dual sinks, an oversized walk-in shower, plenty of storage in the cabinetry and linen closet, plus a huge walk-in closet. Two additional bedrooms and a bath are tucked off on their own private hallway, for privacy, and there's even a terrific flex room that would be a convenient office or craft room. All of the homes in Ocean Palms come standard with the luxury of Natural Gas (tankless water heater, gas heat, and gas range). The garage is completely trimmed and painted, with floored attic space accessed by drop-down stairs. Ocean Palms is conveniently located near shopping, restaurants, schools and world class medical offices and hospitals, and a short golf cart ride to Surfside Beach's gorgeous beach and the Atlantic Ocean. 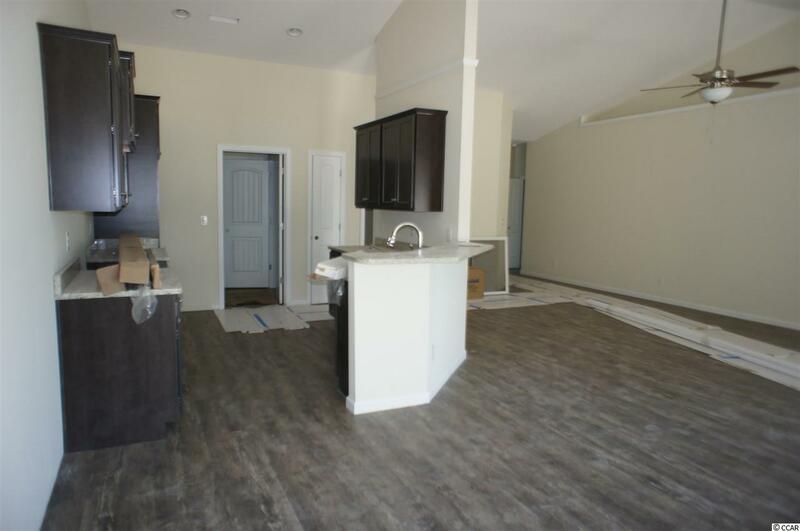 Other floor plans and inventory homes may be available, and CUSTOMIZATION OF FLOOR PLANS IS POSSIBLE!!! Community Pool and Cabana Coming Soon! Photos are of a completed, similar home in another neighborhood and may have different features.